If you’re a coffee lover, you’ll be familiar with Mastertons Coffee – Port Elizabeth’s coffee and tea specialists which is also the oldest coffee roaster in South Africa having been in operation since 1924! 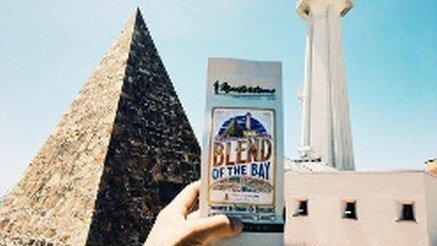 And now Nelson Mandela Bay Tourism has collaborated with Mastertons and developed PE’s very own coffee blend called “The Blend of the Bay”. “Nelson Mandela Bay is a city of rich cultural heritage… as part of our commitment to support and grow the local economy, we are proud to partner with the private sector to yield a product of such high standard.” Shared Chief Executive Officer of Nelson Mandela Bay Tourism,Ms Mandlakazi Skefile said. The blend promise rich flavours and according to Mastertons it is one of their best yet. Blend of The Bay is available at Masterton stores for R53.50. Click here for their website to order: www.mastertonscoffee.co.za.